Since November 2016, many of us have been downright sick over Trump’s assault on our democratic values. His administration appears to only value the lives of the white and wealthy. Many important organizations we view as essential institutions could potentially lose federal funding entirely under Trump. Those who care about our common humanity and our democracy can do two things: be informed and do nothing or be informed and do everything they can to protect and preserve their communities. A group of like-minded women in Buffalo are doing the latter. Karen Eckert, Maria Pabico LaRotonda, Beth Smith and Emily Tucker—all friends of some combination or another found themselves sharing their concerns with one another about the state of affairs in America. What started as a group of women supporting one another turned into a group of women trying to find ways to support those in need in their community. All four women are involved in the art community and bring a different strengths to their newly formed group ArtReach. Eckert is part owner an art commission and online gallery, Collect Art, Tucker owns the Benjaman Gallery, LaRonda owns the Revolution Gallery. Smith and Tucker both sit on the board at Hallwalls Contemporary Art Center. “As we talked about our various skill sets and passions, our mission became clear, we could use our creativity and connections to raise money for organizations that are in jeopardy under the new administration,” Eckert said. ArtReach’s mission statement is simple: to use the creation and exhibition of fine art to raise awareness and funding for organizations which work to ensure the continued existence of equality for all. Their goal is to host two fundraisers a year to support organizations in need. The theme of their debut fundraiser is “no bigger than a pie box”—small works will be small enough to fit into a pie box will be auctioned. 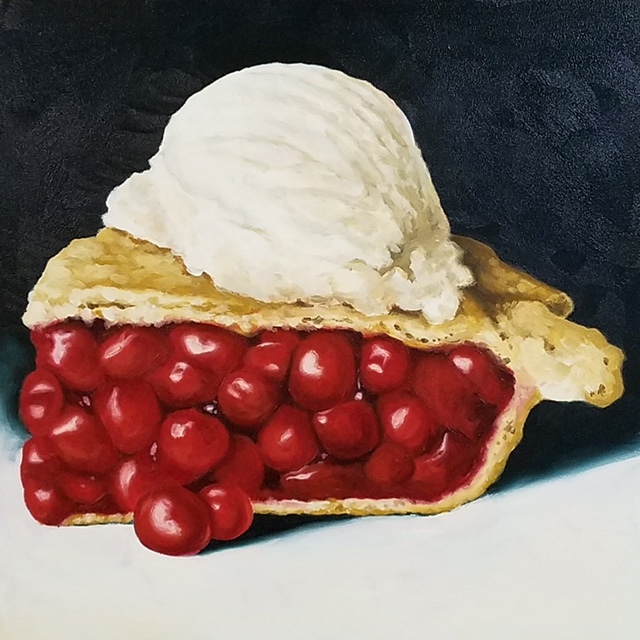 The event is built around comfort and Americana of “pie.” The three charities that ArtReach is raising money for are Pride Center of WNY, Planned Parenthood, and YWCA. There will be a representative from each organization present at the event. Local comedian Allie Brady will be providing entertainment and emceeing the affairs. All work will be sold through silent auction. Participating artists include Bruce Adams, A.J. Fries, Amy Greenan, Anne Muntges, Peter Stephens, and others. Each of the original works available will be ready to hang and come housed in a commemorative pie box. Each of the 20 artists involved will receive 50 percent of the sale price of their work and the remaining 50 percent will be split between charities. The charities ArtReach is targeting for their first fundraiser are; the Pride Center of WNY, YWCA WNY, and Planned Parenthood of Central and Western New York. Pre-sale tickets to the event are $20 for individual tickets and $30 per pair through July 10. Tickets can be purchased at the door for $20 a piece or online. If you haven’t figured out a way to counter your rage toward the the TV reality show of the Trump administration, this might be a good start. If anything you will be among like-minded people and be supporting important organizations we need in a healthy America.